Our interns recently took on the project of researching various topics. The most current topic was resisted sled training. The following studies are breakdowns of what myself as well as part of our summer intern class found. 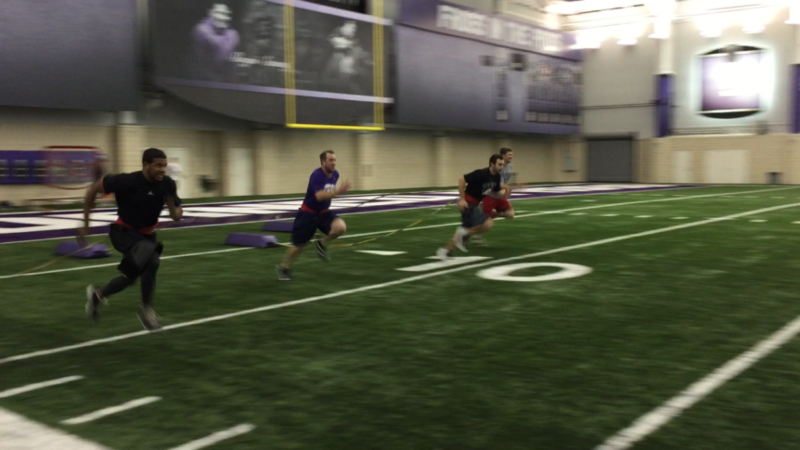 Resisted sprint training is a hot topic in the field of performance right now and many articles can be found recommending a variety of protocols. As with any research we take these with a grain of salt. Bentley, Ian; Atkins, Steve J.; Edmundson, Christopher J.; Metcalfe, John; Sinclair, Jonathan K.
Researchers studied the kinematics associated common attachment points for resisted sprint training including the shoulder harness, and waist belt. It is unknown how each is associated with technical changes during the acceleration portion of sprint training. Fourteen trained athletes performed unloaded, as well as loaded sprints with both towing attachments from a split stance start over a 6 meter distance. Measurements from force plate embedded at 3 meters, as well as high speed cameras were used to determine force output, as well as kinematic changes over the course of the sprint. The waist attachment actually led to greater horizontal force outputs on the force plate than the shoulder harness. Technically, the shoulder attachment created more deviation from the norm as well. The waist attachment seems to be the most suitable attachment point for the acceleration phase which resulted in fewer technical alterations and greater net horizontal force when compared with the shoulder harness. Effects of Weighted Sled Towing with Heavy versus Light Load on Sprint Acceleration Ability. Kawamori N1, Newton RU, Hori N, Nosaka K.
Weighted sled towing is used by athletes to improve sprint acceleration ability. The typical coaching recommendation is to use relatively light loads, as excessively heavy loads are hypothesized to disrupt running mechanics and be detrimental to sprint performance. This study compared the effects of two different external loads on sprint acceleration ability. Twenty-one physically active men were randomly allocated to heavy or light-load weighted sled towing. All subjects participated in 2 training sessions per week for 8 weeks. The subjects in the heavy and light groups performed weighted sled towing using externals loads that reduced sprint velocity by approximately 30% and 10% respectively. Before and after the training, the subjects performed a 10-m sprint test, in which split time was measured at 5 and 10 m form the start. They heavy group significantly improved both 5 and 10 m sprint time by 5.7% and 5% respectively. In the light group, the 10 m sprint time was significantly improved by 3% while no significant change was found with the 5m sprint. Heavy- and light-load weighted sled towing were equally effective in improving sprint acceleration ability over 10 meters, but only the use of heavy load improved 5-m sprint times. Effects of three types of resisted sprint training devices on the kinematics of sprinting at maximum velocity. J Strength Cond Res. 2008 May;22(3):890-7. Alcaraz PE1, Palao JM, Elvira JL, Linthorne NP. Resisted sprinting is a very popular method of speed improvement among strength and conditioning coaches; however, properly implementing this type of training can be tricky. Often, coaches will overload athletes believing that more resistance will equate more strength and therefore generate more speed in their athlete. However, coaches are incorrect in this belief, since overly resisted sprints are detrimental in many ways including but not limited to: increasing ground contact time, shortening of stride length, decreasing stride frequency, slowing the rate of force production, increasing (to a point of disadvantage) forward lean, and undermining sprinting mechanics. When these aspects of sprinting are changed, the reason for training is lost. Speed and acceleration are not improved, and an athlete may even perform more poorly due to the ingraining of harmful motor patterns, muscle fiber types being trained, etc. In their studies regarding the effects of resisted sprinting on the kinematics (features or properties) of sprinting, researchers from Spain and the UK found that when implemented correctly, resisted sprinting of varying modes could indeed enhance sprinting performance. To come to this conclusion, the researchers selected 11 men and 7 women who were currently competing as sprinters or long jumpers, who were currently following a periodized strength and conditioning program, and who had previously used resisted sprinting as a form of training. The participants would perform measured sprints under 4 conditions of resistance: unresisted maximal sprints, sled-resisted maximal sprints, parachute-resisted maximal sprints, and weighted belt-resisted maximal sprints. The sprints themselves would be flying 30m sprints, with a 20m distance of approach. The flying 30m sprint would be timed to roughly estimate the amount of load provided by the resistance, and a portion of the 30m would be consistently filmed and played over the unresisted sprint to determine if any significant changes in running kinematics had occurred. The researchers knew from the prior studies of others that any load slowing a runner down more than 10% of their maximal velocity would cause detrimental breakdowns in running technique, so each form of resistance was precisely measured to give each athlete as close to the optimal range of resistance possible. Each sled was loaded with 13-16% body mass of the participants; each parachute was selected in the “medium” size range; and each weighted belt was loaded with 7-9% of the runner’s body mass. Each of these quantities or measurements was selected to give as close to 10% maximal sprint resistance as possible, erring on the side of being “too light”. Runners were given one trial under each of the 4 conditions, their times and videos were recorded, and the results were all compared to the control, which was the unresisted sprint. According to their findings, all of the methods of resistance offered the expected reduction in velocity; however, due to the directional difference of the resistance forces applied, it was difficult to tell which had an advantage over the others. All of the methods had some negative effects, such as reduced stride length, increased forward lean, increased ground contact time, etc; however, many of the effects were not so harmful as to rule out the beneficial qualities of the work being done. The major takeaway from this study, and its conclusion in simplest terms would be that coaches CAN use resisted sprinting in conjunction with their speed improvement drills to help improve an athlete’s max speed. 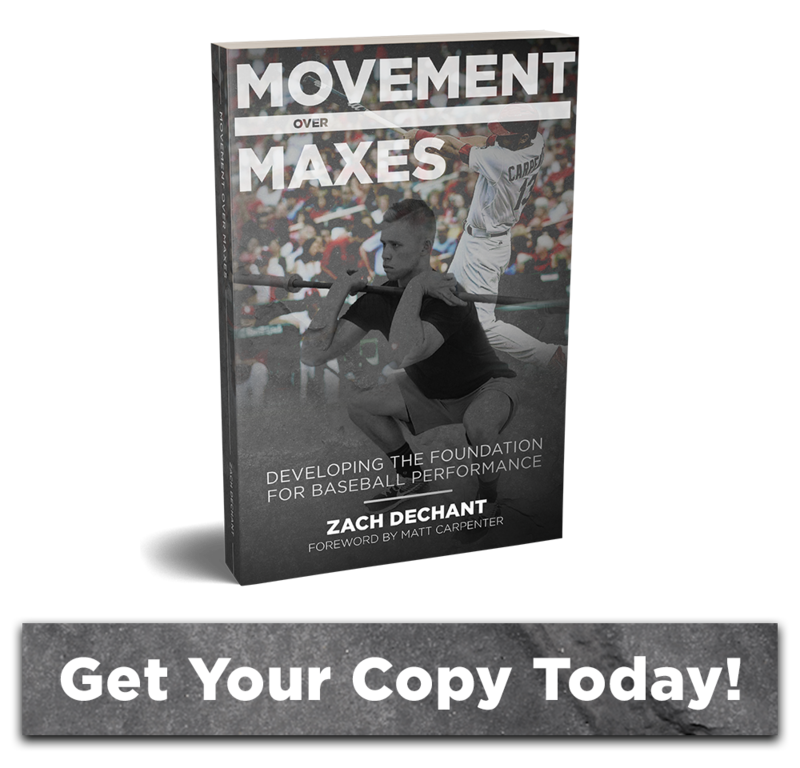 However, coaches should not seek to overload their athletes, keeping a close eyes on their runner’s kinematics and ensuring that technique is their priority when coaching. Resisted sprinting can be a great training tool when used correctly, but when misused, can cause more harm for the athletes than good. The purpose of this study was to determine the effects of weighted sled (WS) weighted vest (WV) and unresisted running group (UR) sprint training on maximum velocity sprint performance and kinematics. 20 male college lacrosse players were split up into a weighted sled group (10% of Body Mass), weighted vest group (18.5% of Body Mass) and unresisted group (UR). All subjects completed 13 training sessions over 7 weeks. Pre and post measurements of sprint time and average velocity across the distance interval of 18.3 to 54.9 m were used to assess sprint performance, whereas high-speed video and motion-analysis software were used to analyze stride length, stride rate, ground contact time, and flight time. They found small improvements in sprint time and average velocity for all sprint groups including the unresisted, weighted vest, and sled but no statistically significant difference between the groups. With regard to sprint performance, the results indicate that weighted vest, and sled training had no beneficial effect compared with unresisted sprinting. In fact for the resistance loads used, unresisted training may actually be superior for improving sprint performance.